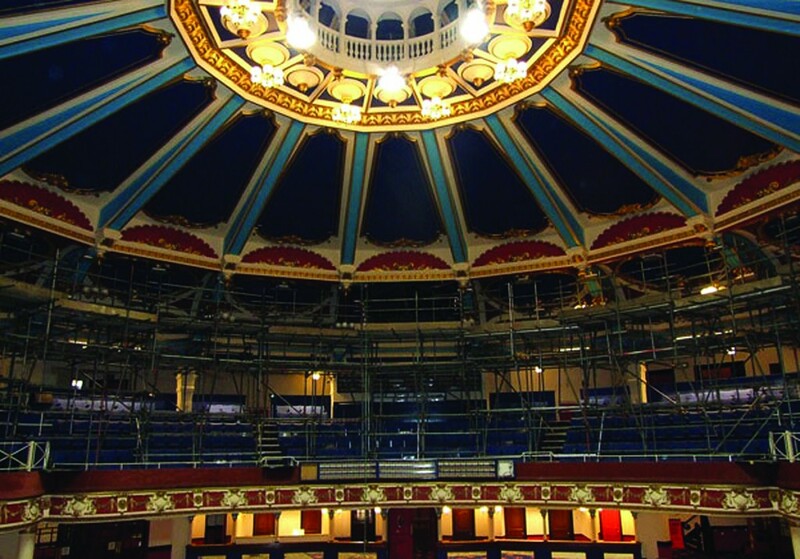 Biggins, Capron, Dench, Dodd, Norton, Zenon – the list of celebrity supporters of the campaign to turn the Brighton Hippodrome back into a theatre is impressive. Focus on the derelict Hippodrome, on Middle Street in central Brighton, has been intense since plans were submitted in 2013 for its conversion into an eight-screen Vue cinema. The plans were passed by Brighton & Hove City Council at the end of last year. I have heard lots about the Hippodrome’s famous interior over the years but have never actually been inside. The building was originally an ice-rink when it was constructed in 1897. By 1901, it had been converted into a variety theatre by Frank Matcham – the most famous of theatre architects. It became a bingo hall in 1967 and finally closed in 2007. It has been disused ever since. Bad things happen to derelict buildings. Squatters, and arsonists generally, routinely start fires. Roofs collapse, especially if lead is missing. Thieves steal and vandals destroy. Although I saw restoration and usage as a theatre as preferable, I wasn’t distraught when planning permission was granted. Much has changed since last year. A change in ownership of the building has just occurred or is shortly about to. Plans to convert have been dropped, though the permission remains. 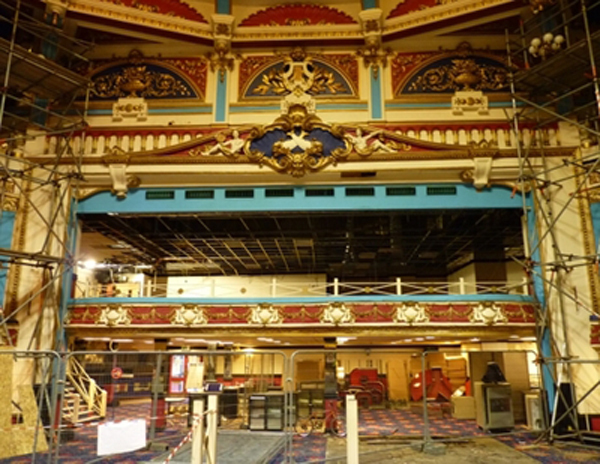 The campaign (or, more accurately, series of campaigns) to stop conversion and return the Hippodrome to use as a theatre has gone from strength to strength. 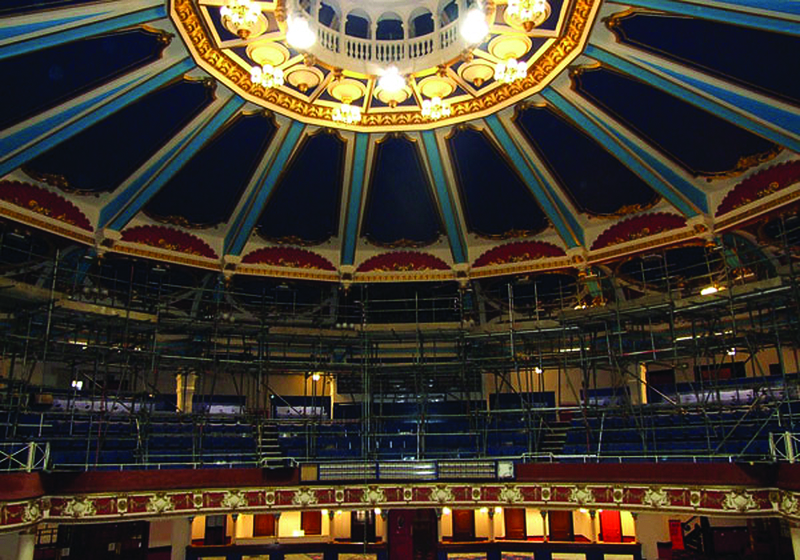 Those behind the Our Brighton Hippodrome campaign (see www.ourhippodrome.org.uk), including campaigners David Fisher and Joanne Jameson, are keen to stress that a great business case exists for a return to theatre use. They want to see the venue used as the city’s key performance space and later as a producing house. Hopefully the new owner shares their ambition and does something about it.